Thank you to everyone who attended the workshop in Leon County last night. The meeting was very productive and we received great feedback from everyone. If you did not attend the workshop last night, please join us next week in Wakulla County. 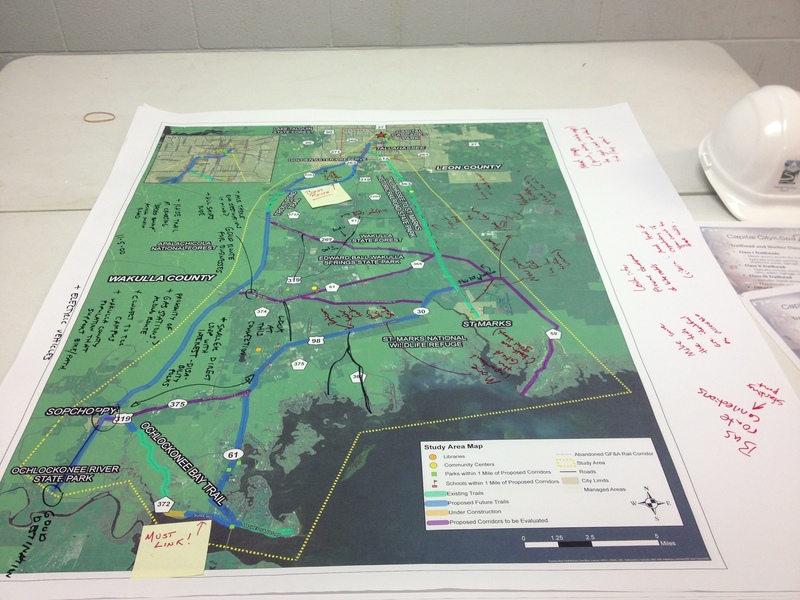 Workshop #1 in Wakulla County is Tuesday, June 25th at 6:00 p.m. at the Wakulla County Commission Chambers. Please see this agenda for additional information: Public Workshop #1 (Wakulla) Agenda (pdf) . This entry was posted in Home and tagged Agenda, Capital City to the Sea Trails, CC2ST, Wakulla, Workshop by artiewhite. Bookmark the permalink.